New, New, New! 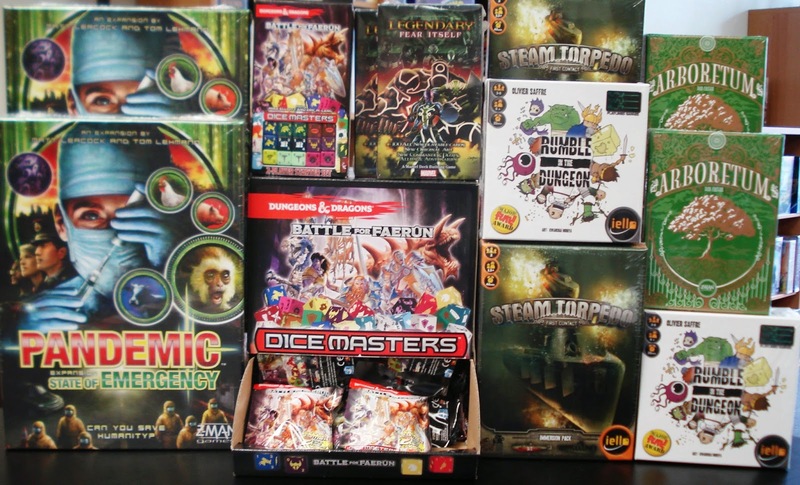 More new games have arrived. 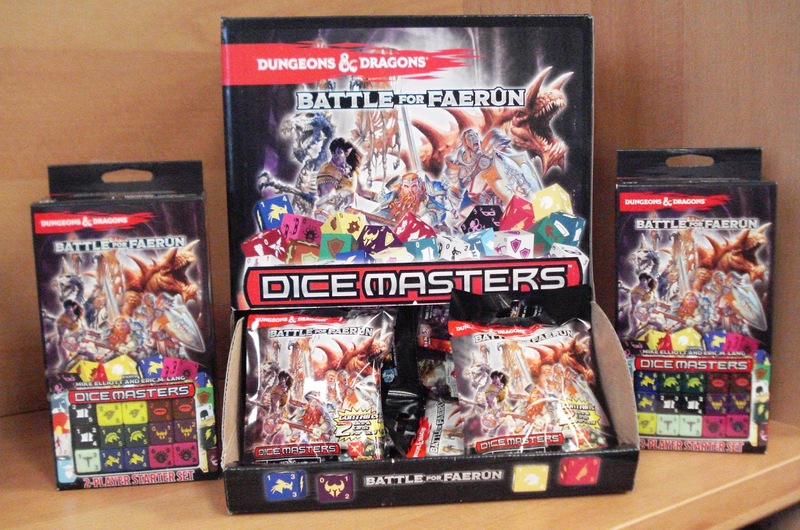 Adding to their highly popular Dice Masters series is Dungeon & Dragon Dice Masters: Battle For Faerûn from WizKids Games. 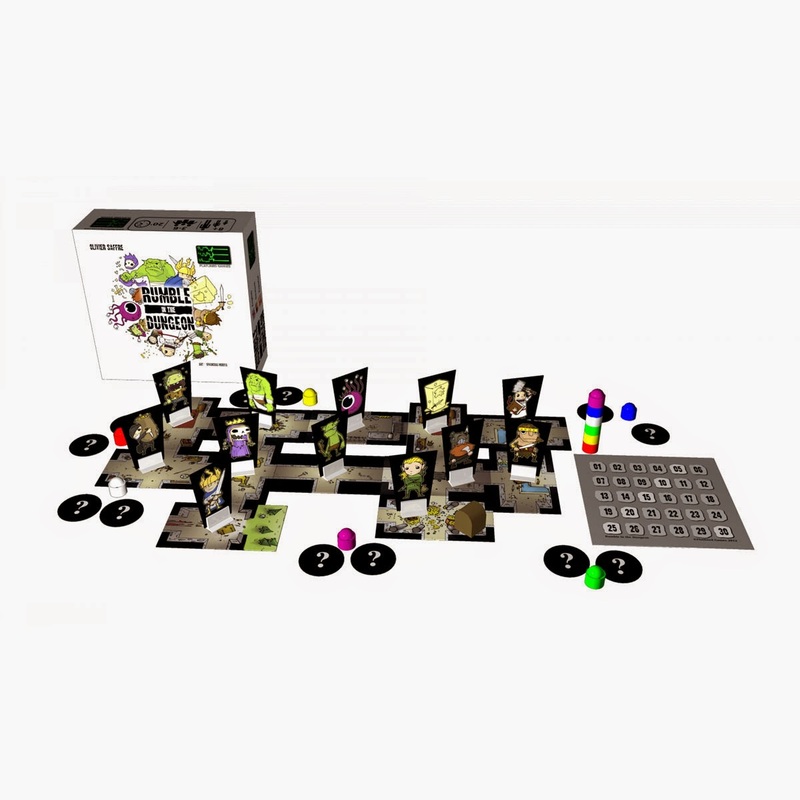 The Dice Masters series is a 2-player dice-building game. Each player takes the role of masterminds directing the actions of a team of powerful supers (represented by dice) to battle each other. Each turn, you’ll roll your dice to see what resources you have available, buy dice, send your team members into the field, and then strike at the enemy mastermind. With Battle For Faerûn you enter into the Dungeons & Dragons Forgotten Realms universe. Players will defeat opposing warlords with dragons, mind flayers, beholders, kobolds, stirges, and adventurers. 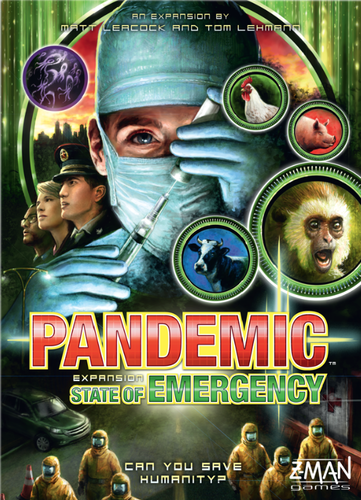 New in Z-Man Games is Pandemic: State of Emergency, the 3rd expansion to the popular cooperative game, Pandemic. Pandemic is a cooperative game where players are members of an international disease control team, working together to research cures and prevent additional outbreaks. Hinterlands Challenge - diseases can spread from animals to humans. Emergency Events Challenge - unpredictable Events have nasty effects on the game. Use Quarantines to stop the spread of disease across the board. Superbug Challenge - a 5th disease that cannot be treated threatens the world. Produce vaccine doses after finding its cure in order to fight off this threat. You must eradicate the superbug disease in order to win. This expansion is not for the faint of heart. 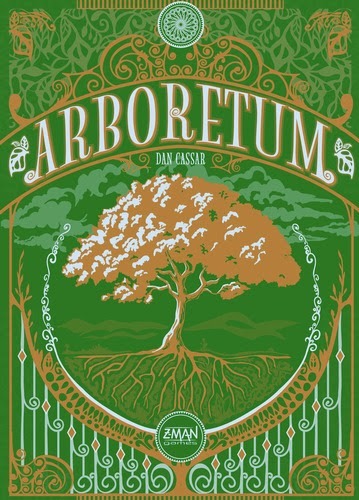 New in is Arboretum, a 2 to 4 player card game. Players will develop a garden of different types of trees. Making the most beautiful arboretum will not be an easy task, and some planning will be required. Which species will you choose? Lilac, willow, or maybe maple? The goal in Arboretum is to create a pathway of tree of increasing value, where the first and last cards are of the same color. This is a player's arboretum and is created on the table in front of each player. Players will also need to collect in their hand as many of the trees that match their tree path. At the end of the game the dealer names each tree, one after the other. For each type of tree, the players reveal each card in their hand matching that tree. The player who has the highest sum in a given tree gains the right to score points for any paths matching that tree in their arboretum. Along a path, each card must be greater in value than the one preceding it. Therefore, the smallest possible path is made up of 2 cards of the same tree, and the longest is made up of 8 cards (this path must start with a 1 and end with an 8). 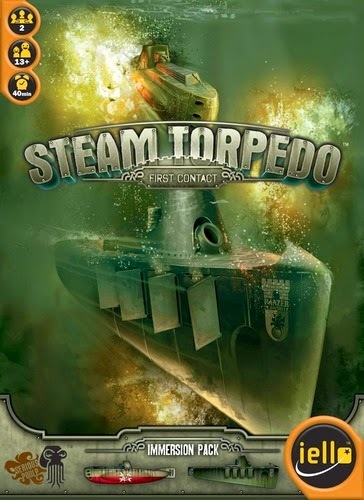 At the recently attended game convention, we picked up Iello's newly released Steam Torpedo: First Contact, a tactical submarine battle game for 2 players. Before battle begins both players will plan their strategy through the construction of their submarine. They will choose a submarine class, select a crew, and outfit the sub with various technology compartments such as firepower, fast engines, etc. Next the tactical battle begins. Each player will control the actions of their crew to outmaneuver and attack their opponent's submarine. Game is won when the opposing submarine's control room has been destroyed or all of it's crew taken out. Watch this video for a game overview of Steam Torpedo. New in from Upper Deck Entertainment is Marvel Legendary: Fear Itself, the first expansion to the base game Marvel Legendary Villains. 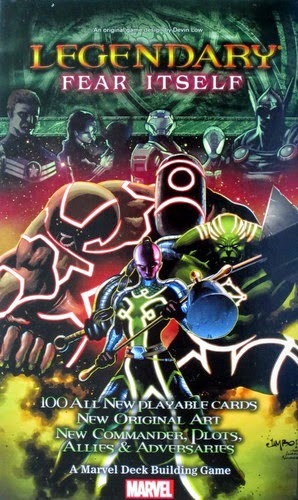 In the core game, Legendary Villains you play as Marvel villains combating against the best heroes in the Marvel universe. You will build your card deck with Magneto and the rest of the Brotherhood or try a strategy with Sinister Six. With the Fear Itself expansion fear is upon you. You can recruit the "Worthy" and battle against the "Mighty" for some new and amazing game play. Kuurth, Nul, Skirn, Nerkkod, Greithoth, and Skadi are not alone as they will have to battle Uru-Enchanted Iron Man, the newest Commander. This expansion includes 100 new playable cards, new original art, a new commander, 3 new plots, 6 allies, and an adversary group. 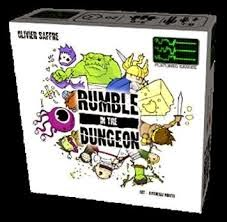 Another Iello game we picked up at the game convention is Rumble In The Dungeon, a super light and quick game. Living together in a small dungeon is not easy. When the pressure is too high, it’s time for a big rumble in the dungeon! Watch this video by Dice Tower for a game overview.